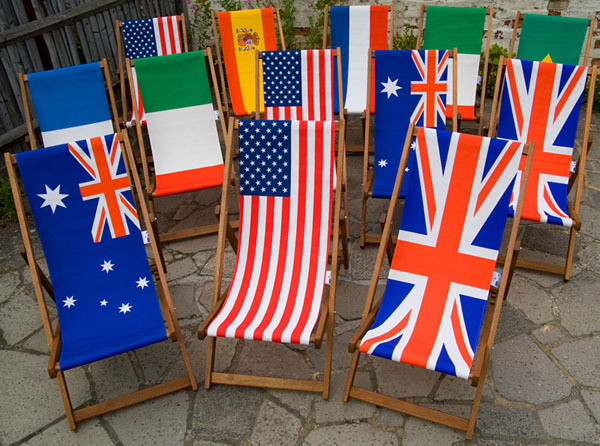 To help celebrate the London Olympics in 2012 Eyes Wide have launched a range of designer deckchairs, wideboy deckchairs an beanbags with designs of the national flags. It makes an excellent personalised printed photo gift as a quirky unusual Birthday Present or Wedding Present. This design is for the Republic or Ireland National flag. Either upload an digital image here or send the image or artwork in the post to our studio as hard copy or on a disk, the postage details will be emailed to you with the order confirmation.